Oil lamps, plates and figures show the god Pan and several nymphs. 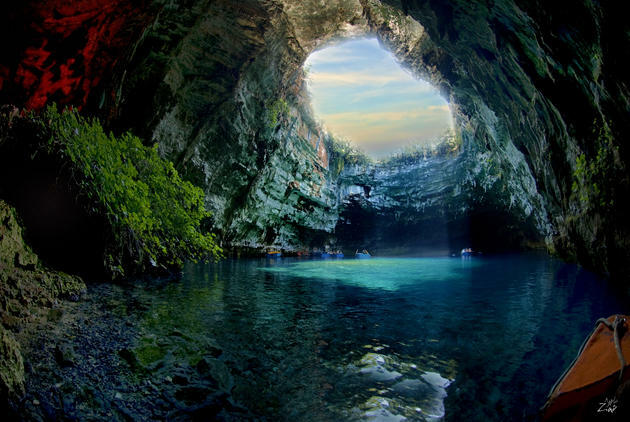 This is, why the cave is sometimes called Cave of the Nymphs. The lake was named after one of the nymphs, the nymph Melissanthi. 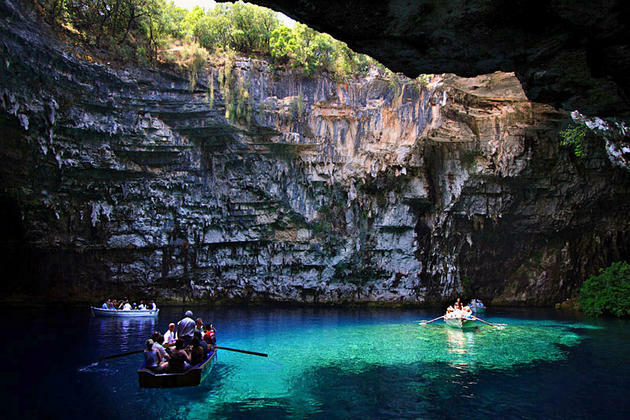 Lake Melissani has an absolute invisible specialty, which sounds pretty strange. The lake water is brackish, a mixture of sea water and sweet water. The cave is about 500m from the sea, and the water level is a meter higher than sea level, and the brackish water rises from a 30m deep cave system on one side of the cave and flows silently to the other end of the cave, flowing through narrow crevices into the sea.Here the water from the Katavothres on the other side of the island reappears. This was discovered by dye tracing experiments in 1959. 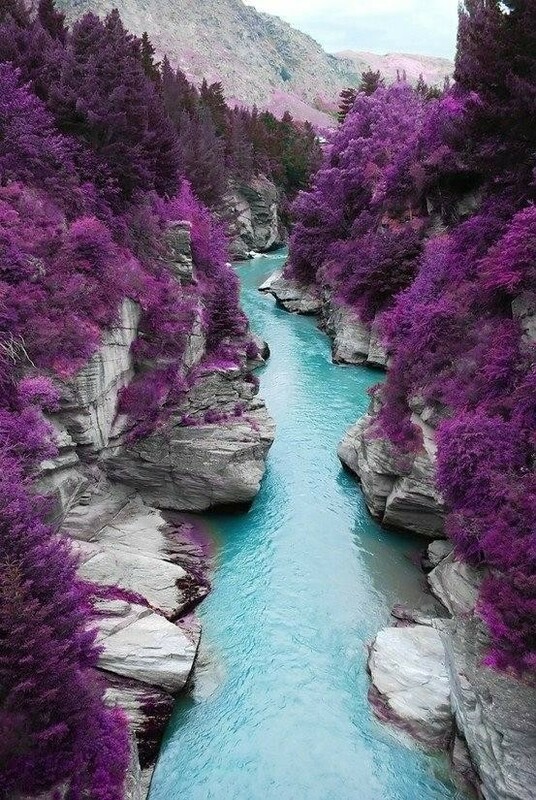 The Fairy Pools is located in Cuillins Hills, Isle of Skye, Scotland. The Fairy Pools are a series of clear, cold pools and waterfalls formed as Allt Coir’ a’ Mhadaidh tumbles down from the foothills of the Black Cuillins into Glen Brittle. 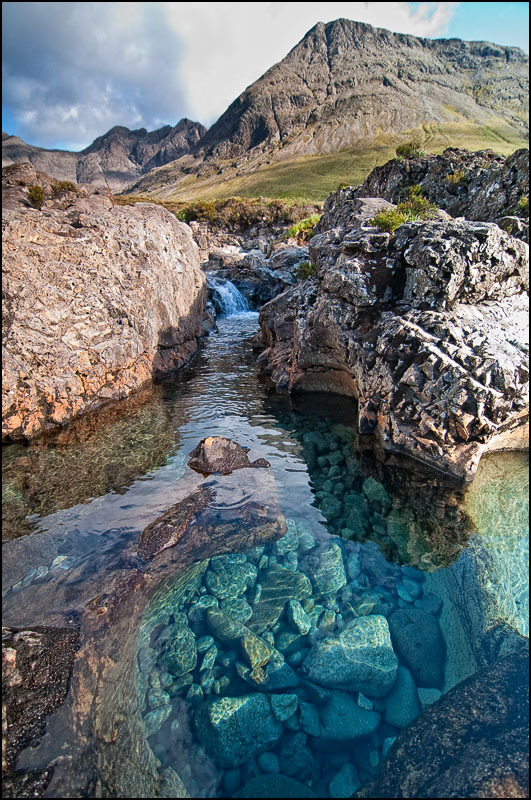 The location of the Pools beneath the looming bulk of the Cuillins is wonderful, and the drama of the waterfalls and the rock formations carved by the falling water giving the Fairy Pools a magical feel. Its really amazing isnt it?? I was going to give you the Sunshine Award, but you already were given it. Great blog, enjoy reading your posts! straordinay places, so beautiful !